Fact: John Isner, Sam Querrey and the Bryan Brothers have their work cut out for them this weekend in San Diego. A win is expected. A loss would be devastating. Both are realistic. Here’s the deal…while the Americans arrive in San Diego with a higher-ranked field, Courier’s “chosen-four” aren’t necessarily touching-down with promising momentum. John Isner: Started suffering ankle pain during the off-season and was forced to retire in Perth during the Hopman Cup. Sure, he played through the pain and went on to win the Heineken Open, but it cost him. In agony heading into the first Slam of the year, John was forced to retire during his first-round match at the Australian Open, after losing the first two sets to Martin Klizan. Last year, John brought a knee-injury into USA’s First-Round Tie versus Brazil in Jacksonville. He easily won his first rubber over Thiago Alves, but in reverse singles, lost a five-setter to 35th-ranked Thomaz Bellucci. That forced Sam Querrey to deliver a First-Round win for Team USA in the deciding rubber. In the Boise Quarterfinal, Isner fell to Djokovic in straight sets. He didn’t play reverse singles after Serbia clinched the Tie in four. Overall, since 2010, John is 6-7 in Davis Cup Singles play. Though he did post a huge win over Roger Federer, on clay, in Switzerland back in 2012. 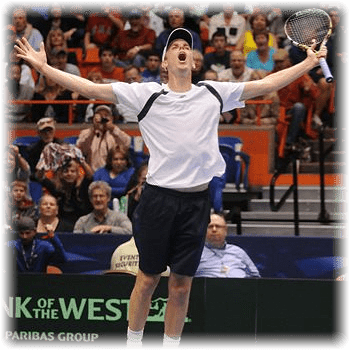 Sam Querrey: Sam brings a 2014 record of 3-3 to San Diego. He was bounced in Brisbane’s second-round, Sydney’s first-round, and managed a third-round finish in Melbourne with wins over Santiago Giraldo and Ernests Gulbis, before falling to Fabio Fognini. Overall, since 2008, Sam is 4-6 in Davis Cup Singles play. While he may have delivered the best Davis Cup performance of his career last year, it certainly didn’t end on a positive note. 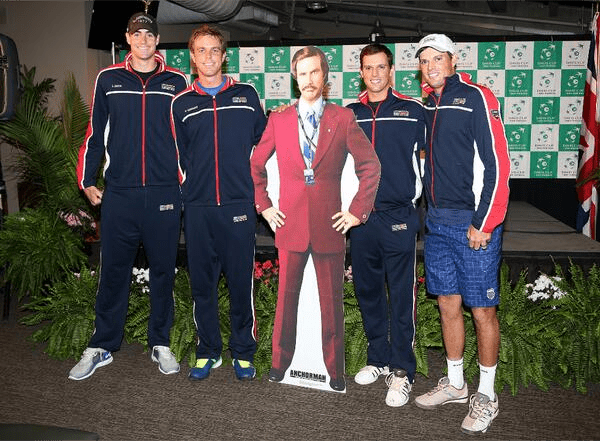 The Bryan Brothers: No question, with Davis Cup, 2014 is all about redemption for Bob and Mike. Despite an outstanding, record-shattering year on tour, 2013 was abysmal for the twins. 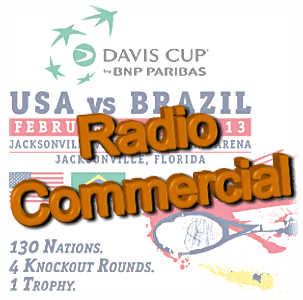 In Jacksonville, the brothers lost in five-sets to Brazil’s Marcelo Melo and Bruno Soares. In Boise, they dropped a heart-breaking fifth-set, 13-15 to Serbia’s Ilija Bozojac and Nenad Zimonjic. 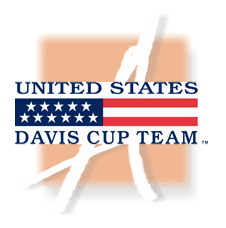 Before last year, Bob and Mike had only lost two previous Davis Cup doubles matches: In 2005 to Croatia’s Mario Ancic and Ivan Ljubicic in Los Angeles, and in 2008 to Arnaud Clement and Michael Llodra in Winston-Salem. 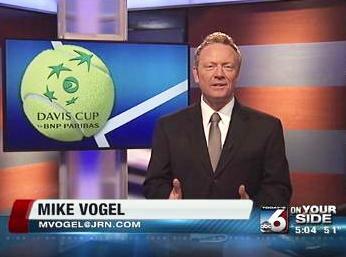 As I’m sure you’ve now noticed, the only time Bob and Mike have lost in Davis Cup play…is on home soil. This weekend they play in…San Diego, California USA. HOWEVER…be aware, the fellas are 10-0 when playing Davis Cup matches on clay. Certainly wish there was better news to report regarding Bob and Mike’s 2014…they arrive in San Diego with a 3-2 record. They suffered a Quarterfinal loss in Sydney (12-14 MTB to Lukas Rosol and Joao Sousa), then a 3rd round loss to Americans Eric Butorac and Raven Klaasen in Melbourne…their worst finish at the Australian Open since 2003. 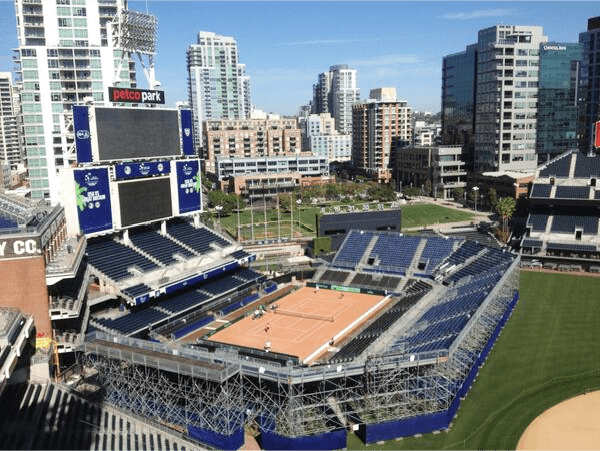 While Captain Courier thought he’d shake things up by selecting clay as the court surface at Petco Park in San Diego; Great Britain’s Captain Leon Smith created his own vibrations through team selection. Of course, Andy Murray’s on-board – hoping to relive the magic he delivered in Croatia last September, before bagging his raquets for back surgery. If you missed that World Group Playoff Tie, here’s a recap: Andy Murray beat Croatia single handedly. He won the first singles rubber, teamed with Colin Fleming to win doubles over Dodig and Pavic, then delivered the Tie for Great Britain with a fourth rubber win over Dodig. In San Diego, Fleming is back to team with Andy in doubles…but Dan Evans and 2012 Wimbledon doubles champion Jonny Marray are out. Instead, Smith chose to bring 175th-ranked James Ward and 336th-ranked Kyle Edmund. Hmm? Here’s the reality, Leon understands that Andy needs to deliver a performance (almost) as impressive as he delivered in Zagreb – which is entirely possible, even if on clay. 19-year-old Kyle just picked-up another ITF Futures Singles title in Florida during the first week of the Australian Open…on clay. James Ward, Britain’s #3 player, has a winning 8-5 record in Davis Cup play; Dan Evans has a 4-8 record. While Team Great Britain may not look amazing on paper, Smith is throwing caution to the wind against a US Davis Cup Team that has proven unreliable and nervy since its 2012 Semifinal loss on clay in Spain. 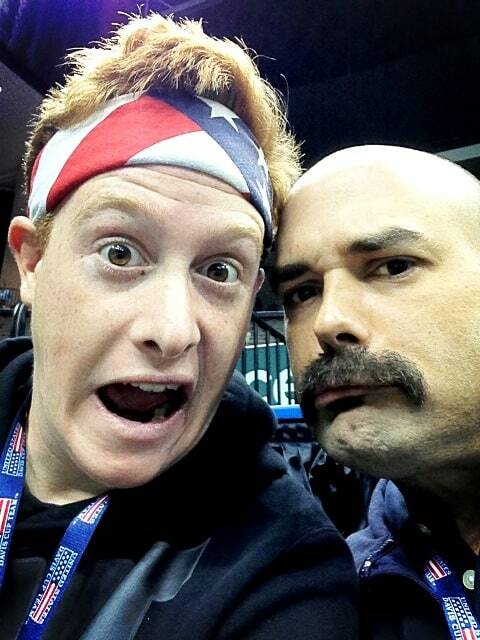 He’s hoping his team-selection calls Courier’s “clay-choosin’ bluff” – forcing Team USA’s hand. No doubt, the message to his team: Make. Them. Beat. You. In other words, stay competitive on the court and allow the Americans to defeat themselves, while Andy Murray delivers us to the Quarters. Andy Murray (5-2): Lost to Florian Mayer in the second round of the Qatar ExxonMobil Open in Doha, and to Roger Federer in the Australian Open Quarterfinals. James Ward: Lost in the second round of qualies in Brisbane, the first round of qualies at the Australian Open, and the first round of an ATP Challenger Tour event last week in Hawaii. Kyle Edmund: Comes into the weekend after winning an ITF Futures event on clay during week-one of the Australian Open. Colin Fleming (1-3): With partner Ross Hutchins, he lost in the first round of both Brisbane and Auckland, then lost in the 2nd round of the Australian Open. An Unexpected Win. Advantage Serbia. Close-Call for Team USA in Jacksonville…On to Boise! 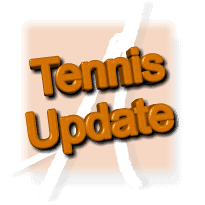 World Series – Tennis – Joplin Makeover!